A shady businessman, Jimmy Corrigan (James Cagney, Yankee Doodle Dandy), who makes his living from fraudulent enterprises. Jimmy’s girlfriend, Joan Martin (Bette Davis), who doubles duties as his secretary, tired of the con artist’s shadiness, leaves him for good. When Jimmy finds out that Joan has left him, the swindler comes up with an elaborate scheme to win her back. 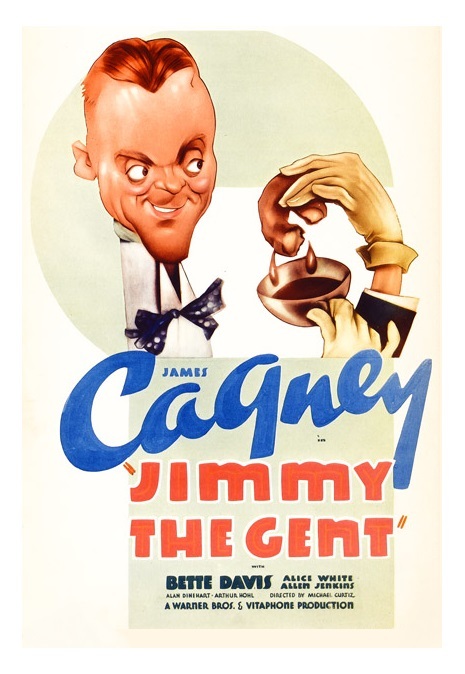 Jimmy the Gent, written by Bertram Millhauser, directed by Michael Curtiz (The Private Lives of Elizabeth and Essex and Mildred Pierce), is best remembered as the first (and best) of the two films James Cagney and Bette Davis made together. Jimmy the Gent has its defenders, but I’m not one of them. It’s never boring, but frankly, I was expecting a whole lot more from the momentous teaming of Warners’ greats. Interestingly, cinema’s most intense dramatic actors only worked together in comedies, a genre that neither one excelled. That’s why I think that the potentially explosive pairing fails to generate any sparks. The title role was specifically written for Cagney. Needless to say, he is particularly good delivering the fast-pacing dialogue. 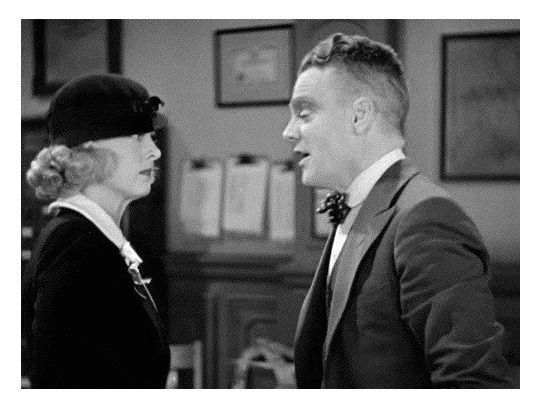 Cagney has one hilarious sequence in which his character tries to be a bit more sophisticated. 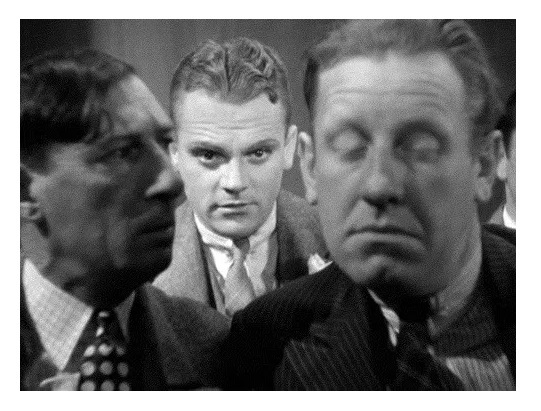 However, no matter how hard he tries, Cagney is simply too edgy for screwball comedies. The same thing can be said about Davis. She is not bad either (she too can spit out dialogue like machine-gun fire), but yes, temperament-wise, I think she was ill-equipped for screwball comedies. Carole Lombard she is not. Davis was better suited for black humor, something that she demonstrated in the satire The Anniversary. Director Curtiz keeps the story moving at lightning fast speed, and that helps a great deal. Overall, Jimmy the Gent is entertaining little film. It is, however, a waste of two truly gigantic talents. With Mayo Methot (Marked Woman), Alice White (Picture Snatcher), and Allen Jenkins (Ball of Fire). Watch for Dennis O’Keefe (The Leopard Man and T-Men) in a small role. B&W, 67 minutes, Not Rated.